Meet Fidget, mostly known as ‘our baby’ if you ask Boy. It’s earned the moniker as during the dating scan earlier this week they did not want to stay still and have their measurements taken, or give the sonographer an easy first appointment of the day! Hence the face down, slightly blurry image! Everything looked good though and the blood tests have come back as all being well. We’ve also made it out of the first Trimester so are starting to feel a little less worried and able to share the news. 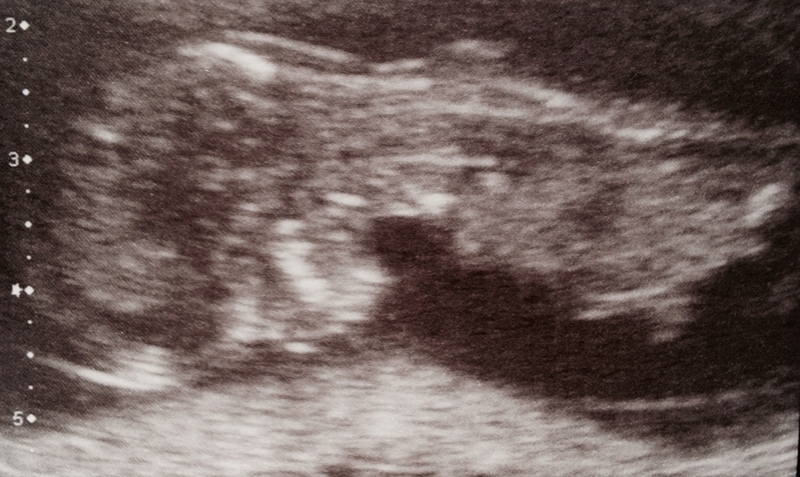 We’re hoping to meet Fidget in mid to late February. I’ve been too tired to sew and the be quite honest, not even sure WHAT to sew! Bed time has been 9pm for weeks, which basically means no sewing. Sleep was the priority! Instead I’ve been hoping, dreaming and making some vague plans – what to wear being one element. I’ve had fun sketching in my Fashionary and come up with a few ideas that I hope will work in the coming 6 months or so as well as afterwards, and some may even have a longer ‘shelf life’. Staple Dress by April Rhodes but with the shirring falling just under the bust and with a bump accommodating adjustment. This is currently in progress. 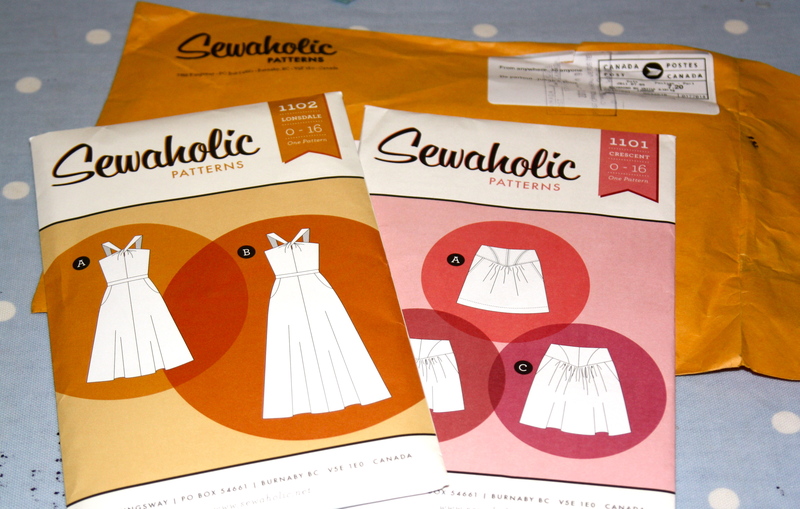 I’ve just got to get brave to make the bias binding from a very silky rayon. I’m gonna have to face that soon as I need it for a wedding in just under two weeks! Papercut Patterns Circle Top as this will work now and well into the future! So far I’ve got a navy and a purple version planned. These will be in solids to give maximum wearing potential and are in two of my basic colours. Maria Denmark Day to Night tops (why do I always want to type Knight when writing about this top?!). I’m going to use Zo’s maternity alteration on these as I need some tops to go with the maternity jeans I had when pregnant with Boy. I’ve also found a gorgeous French company called Deuxieme Arrondissement which make some gorgeous maternity patterns. I’ve bought two: The Duo 13H and Robe Minuit. I think the Duo 13H will be perfect for a wedding we’re going to in December. They’re completely different to any other maternity patterns out there, and whilst they’re entirely in French, I have faith in my language skills… They’re printed on lovely thick paper and I’m looking forward to using them! I’ve also hacked Jamie Christina’s Mission Maxi and am wearing a maxi skirt from a slightly failed experiment as I type. I basically used a double knit and whilst I compensated for the lack of stretch everywhere else, with my changing chest size, it was a tad snug up top! So I lopped the top portion off to turn it into a skirt. I will probably revisit though, armed with a more suitable knit and again use Zo’s tutorial. Finally, I’ve bought Burda 7239 with the express intention of recreating a top I wore when pregnant with Boy. It was basically a cropped wrap cardigan with a false top underneath it made of a very light weight cotton. It was fabulous to wear and my only splurge on maternity clothing with Boy. It came from Mamas and Papas and cost me close to £40. I wore it to death. What I also need to do (and this is going to have to be interspersed by other projects) is crack on with my Papercut Patterns Milano Cape. This was also inspired by my colleague, but it seemed wrong and tempting fate to do too much work on it whilst trying and then in the early stages of pregnancy. Call me superstitious or plain daft, but after previous experiences I didn’t want to be presumptuous. So, some ‘quick’ projects (I hope) and some more involved… Time will tell if I manage to get even half of them done! I managed to catch the centre front panel of my Pendrell when serging the seam allowances yesterday. I was being so careful too as I was worried I was going to do this. With good reason it now turns out. I hoped that I had missed the fabric with the knife and had just caught it with the needles. 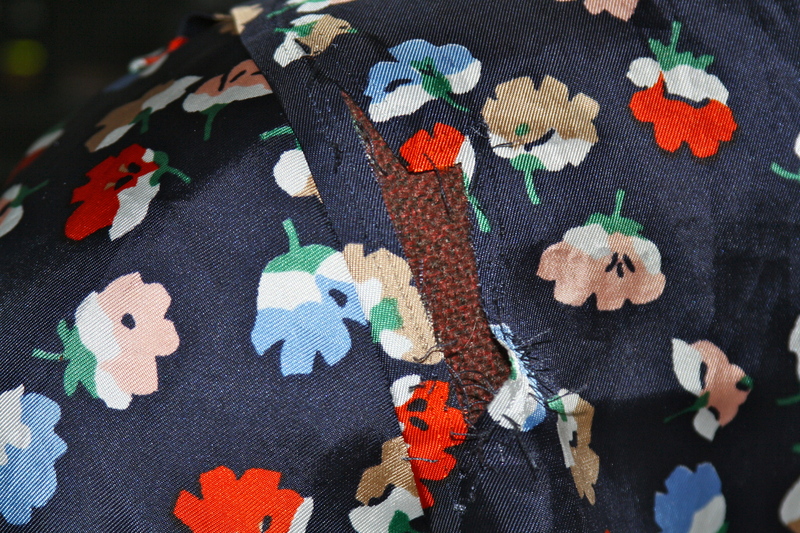 I hoped that a bit of unpicking and a lot of ironing and I could salvage the top. No chance. As you can see, it’s right over the fullest point of my chest. I am so mad at myself and so disappointed. I had to try and be a big girl and not cry. There were tears in my eyes though as I drafted this; cue the violins! This was coming together so beautifully. The seam ruffles were laying perfectly, despite not being cut on the bias. And I love this fabric. 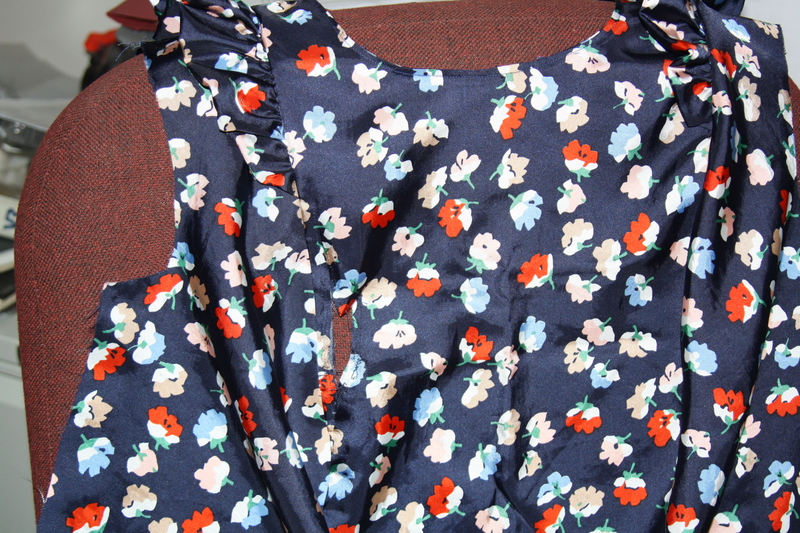 It was a cheapish eBay find; it’s synthetic but I just loved the colour and the print. I was really looking forward to wearing this top. It’s now got nowhere to go but the bin. Please tell me I’m not the only person who has wrecked a garment that they were beginning to love? !